khusheim industrial equipment company is an ISO certified company serving Saudi Arabian market since 1954..
Khusheim Industrial Development offers its services by 3 major..
Khusheim Industrial Development offers its services by 3 major portfolios such as Heavy Machine Tools, General Trading and Industrial Projects..
Khusheim Industrial Services a specialized industrial services company..
Khusheim Industrial Services a specialized industrial services company in Saudi Arabia. This division integrated services..
Khusheim Chemicals is a distributor of chemicals in Saudi Arabia..
Khusheim Chemicals is a distributor of chemicals in Saudi Arabia, catering to the raw material needs for industries in the Kingdom..
Khusheim Trading has been in the distribution of..
Khusheim Trading has been in the distribution of consumer products for over 5 years..
Khusheim Training is providing training to..
Khusheim Training Khusheim Training is providing training to unemployed Saudi Graduates in order to improve their employment chances..
Khusheim Valtech is the manufacturer of Industrial Valves..
Khusheim Valtech is the manufacturer of Industrial Valves for application in various industries..
Selevision solutions enable a breakthrough time to market..
Selevision solutions enable a breakthrough time to market, reduce cost of customer acquisition, create new revenue streams that improve ARPU..
We are glad you decided to look into a career with one of the world class leaders and professionals. Khusheim company is a team of world class leaders and professionals, daring to provide outstanding values. 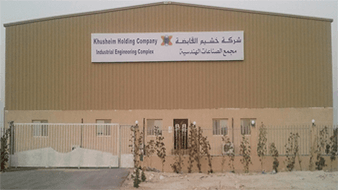 Khusheim Holding brings about 6 decades of expertise and tremendous growth in Industrial Equipment. 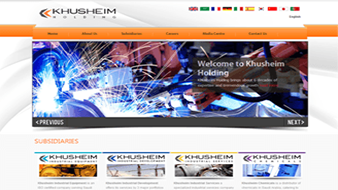 With an in depth knowledge & understanding of the market spans, complementing it with unique understanding of local cultures, technical and business requirements positions Khusheim Holding has grown into a dynamic force in the fields of industrial trading, services and manufacturing through joint ventures. Khusheim Holding has a Media Services Division catering to the Television Viewers, Content Providers and Media sectors. With humble beginning as a single industrial machine repair workshop, Khusheim has grown as one of the largest Industrial Equipment Companies in Saudi Arabia, offering over 9000 different line of products, Khusheim’s dedication to quality & service has earned the name as a trusted partner among its 50,000 customer’s covering all sectors such as oil and gas, petrochemical, Aluminum and steel manufacturing, Power and water utilities companies, support industries and secondary industries. 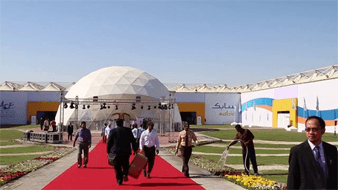 Khusheim’s vision is to be the “best choice for its customers, suppliers and employees” which is fulfilled by offering the best services and work facilities in par with the industry with retention as its utmost priority. 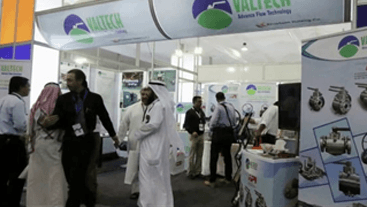 What started as mere departments offering various services for Sales & Marketing, Service & Maintenance and Manufacturing is now independently managed as a profit center falling under the umbrella of Khusheim Holding. As I look at the growth over the years since our inception in 1954, I am extremely proud of what we have achieved, and even more excited about our outlook for an equally promising future. We have successfully transitioned from a small start-up workshop to become a respected firm, garnering business from across the nation, while earning our clients’ trust along the way. Be it our customers, suppliers or employees, their satisfaction are the hallmark by which we measure our performance, and we hold ourselves to the highest standards of quality. Even so, customers, suppliers and employees continue to select Khusheim as their partner of choice because of our experience, commitment to quality and community, and integrity. Talented People: Among our most important assets is the extensive knowledge base, deep-rooted professionalism and unwavering commitment of our highly-qualified, diverse staff. The Khusheim staff is at the core of who we are and what we do. From our Engagement Executives to our Subject Matter Experts, and Delivery/Quality Assurance Teams to our Senior Management, the whole team is committed to delivering the highest quality product and providing unparalleled service to our customers. Community Focus: Simply put, Khusheim is committed to the communities in which we conduct business. Through our work, we are vested both professionally and philanthropically as replica rolex horloges we continue to assess the needs to our success and work hard to identify best practice solutions. Mission Operate outside the mainstream and challenge the traditional way of doing things, by providing the best solutions and ensuring a successful outcome to our customers, suppliers, shareholders and employees. Khusheim company is a team of world class leaders and professionals, daring to provide outstanding values. By determination, constant improvement, optimization, creativity, and by embracing change, we will be the best choice to our customers, suppliers, employees, and shareholders. We conduct our business with honesty, dignity, fairness and respect to achieve highest ethical standards thus we contribute to the community by setting examples of being good corporate citizens.